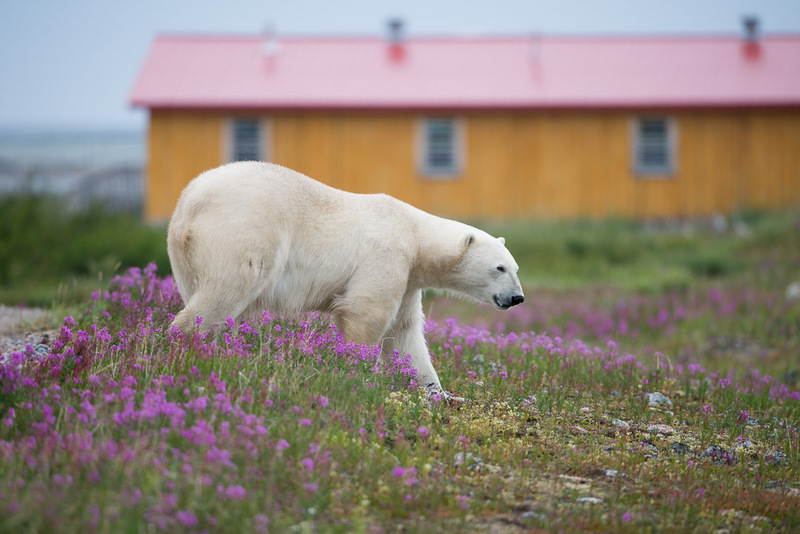 A polar bear walks in front of the Seal River Heritage Lodge. Precautions are needed when building in polar bear country. All content Copyright © 2005-2015 Andrew Yip Nature Photography. All rights reserved.